From right to left: Lynn Dolce, CEO of Edgewood Center for Children and Families, Ken Epstein, Director of San Frnacisco Children, Youth, and Families Behavioral Health, and Paula Williams, Founder of the Mortar Foundation and Creator of Shamebooth. On Wednesday, September 13, 2017, supporters and partners of the Crisis Stabilization Unit (CSU) at Edgewood Center for Children and Families celebrated its three-year anniversary, having served over 1,500 youth facing suicidal thoughts since opening its doors. The event was marked with a reception and gathering in the CSU at Edgewood’s Vicente campus where county officials, staff, and community supporters were recognized for their contributions in creating the CSU. 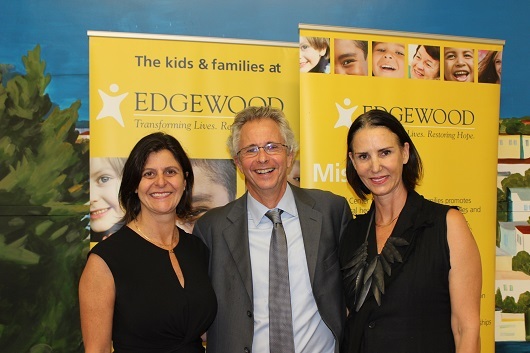 “Our goal is to reduce the short and long-term impact of acute psychiatric crisis of families who have children suffering and struggling with everyday activities and relationships,” Edgewood Chief Executive Officer, Lynn Dolce said. The CSU offers a safe, family-friendly setting where youth in crisis could rest for up to 23 hours, be assessed for any imminent risk, and leave with a family oriented discharge plan. 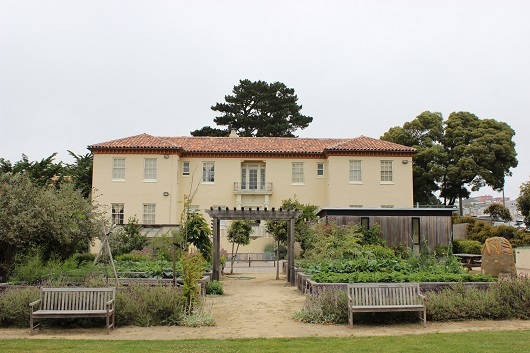 The Director of San Francisco Children, Youth, and Families Behavioral Health, Dr. Ken Epstein, was honored for his tireless dedication to the unit. Dr. Epstein used his speech to emphasize how important the CSU is and how grateful he was for his team, as well as the support the unit has received from its partners in the City and County of San Francisco, Child Crisis, and the Department of Public Health. “The Crisis Stabilization Unit is a bit like a firehouse. When it’s needed to put out fires, we all know we need to be here,” Epstein said, in describing the unit. The firehouse and its mission have drawn strong advocates like Paula Williams, who is the Founder of the Mortar Foundation and the Creator of Shamebooth. Williams shared her story of struggling with both a daughter and a sister that suffered from mental health issues. To read more about the CSU, click here.